HONG KONG, CHINA – SEPTEMBER 13, 2012: Double-deck tram passes by the street of Hong Kong, China. 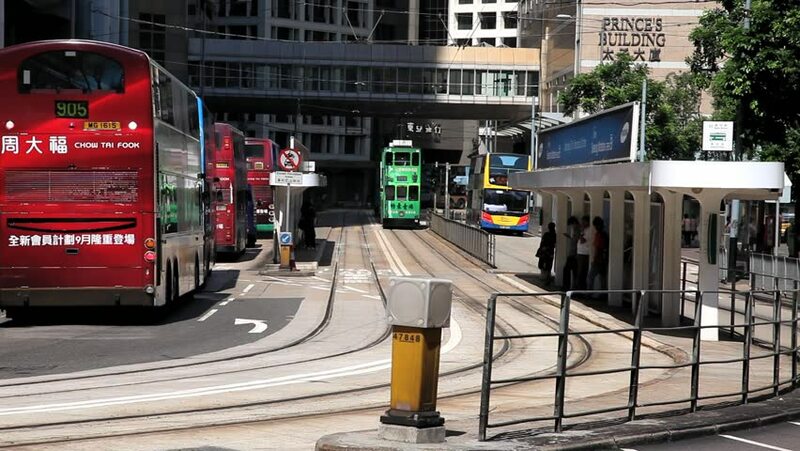 The double-deck trams system of Hong Kong is one of the most famous in the world. 4k00:09Vancouver, BC, Canada - April 21, 2016 : People walking and crossing the street at downtown Vancouver with 4k resolution. 4k00:09TOKYO, JAPAN - NOVEMBER 3RD, 2017. Bus stopping at bus stop in Nakameguro street. hd00:14Traffic and city life in Asian business and financial center in rush hour. The pulse of city life in modern megapolis. Public transport, transportation and infrastructure. Hong Kong, November 9, 2017.